1.1 Why is violet syrup good to treat cough? 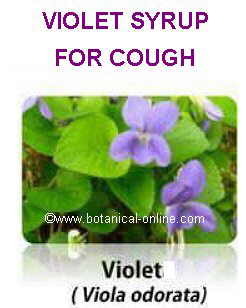 Why is violet syrup good to treat cough? This same component along with methyl-salicylate, eugenol and beta-sisosterol are responsible for the antipyretic properties, so it can reduce fever. Malic-acid and quercetin provide it with bacteriostatic properties that prevent the growth of bacteria. All this cocktail of properties is particularly used to fight many diseases of the respiratory system. 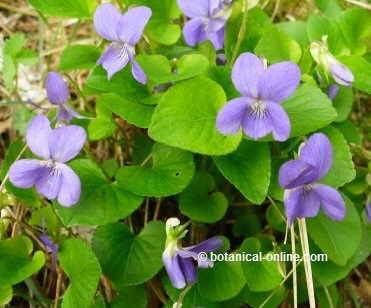 The bechic properties of common violet make it well suited to combat cough, either dry or productive cough. – 4 tablespoons dried violet flowers. – Boil a liter of water. – When reaching the boiling point, turn off heat and pour 6 tablespoons of flowers in hot water. Close the container tightly and let stand for 12 hours. – After this time, strain well and add sugar. – Mix all well until it forms a syrup. Take several glasses a day to relieve cough.